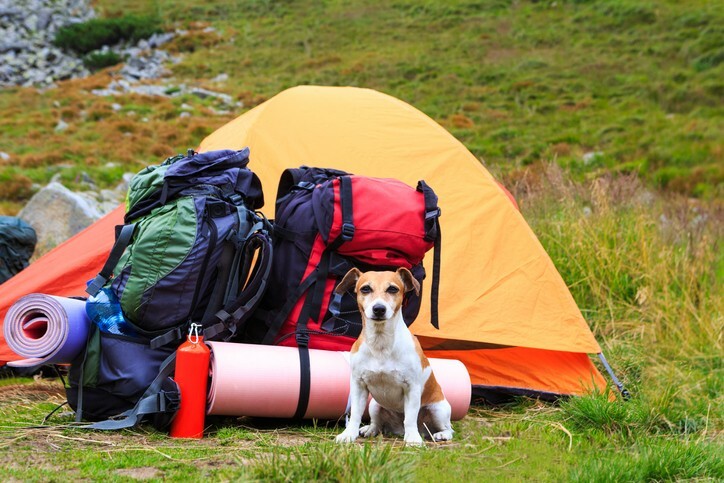 Camping with your dog can be an awesome way to get out into nature and get your dog the exercise it needs. The companionship built on a trip can be a very rewarding experience. Unlike most humans, K9’s are quiet, low maintenance, and generally easy to please. Let’s dive into the 7 tips in order to have a safe and fun trip. Out of all the things you pack on a trip, it always helps to downsize wherever you can. For food and water, you can make things easy and pack a singular bowl for both. Like humans, dogs will need a lot more water during the day than food. One option is to feed them in the morning or at night and then for the rest of the day use the bowl for water. This can also be helpful on walks or hikes around the campground as you only need to carry one bowl. In addition to your standard leash and collar, it’s a good idea to have one short-lead especially if your destination is heavily wooded. You don’t want a long lead wound around a couple of trees. Whether you’re setting up camp, or cooking food, you need a way to keep your dog contained. The last thing you want is your dog darting after a squirrel the moment you take your eyes off them. It’s also incredibly hard to pitch a tent while trying to hold onto a dog. Many campgrounds also require this for the safety of other guests. You can opt to use a tether, or if your dog is crate trained you can also bring it along. Whatever you do, do not let your dog drink from a stream, river, or lake. You cannot trust the safety of it as a source of hydration for you or your dog. It’s rare to locate natural water that isn’t tainted with bacteria or giardia. If you insist on using water from a natural source, make sure to purify it with a life straw, purification tablets, or another safe method. Many campgrounds are off the beaten path and far away from close access to grocery stores. Make sure to bring extra dog food beyond your planned stay. You can preserve the food in a sturdy waterproof container or bag. If you’re going to be in the great outdoors, you’ll want to bring along a first aid kit. For both you and your dog, you can never be too sure when something may happen. It’s always better to be prepared than not. As a final tip, you may be content with sitting around a campfire or reading a book. However, your dog is probably going to want more exploration than that. Be good to your dog and yourself and take advantage of hiking and exploring the area around you. 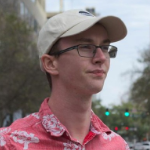 Brennan Valeski is a writer for SurvivalTechShop.com who loves gear and technology that allows him to be ready for any situation that arises. He shares his personal experiences and recommendations to help you be prepared for your next adventure.